BOSTON — Early residents of Boston valued a robust press as much as their history and currency if the contents of a time capsule dating back to the years just after the Revolutionary War are any guide. When conservators at the Museum of Fine Arts, Boston gingerly removed items from the box Tuesday, they found five tightly folded newspapers, a medal depicting George Washington, a silver plaque, two dozen coins, including one dating to 1655, and the seal of the Commonwealth of Massachusetts… The oldest coin in the box was a 1652 “Pine Tree Schilling,” made at a time when the colony didn’t have royal authority to create its own currency. Pine trees were a valuable commodity at the time. 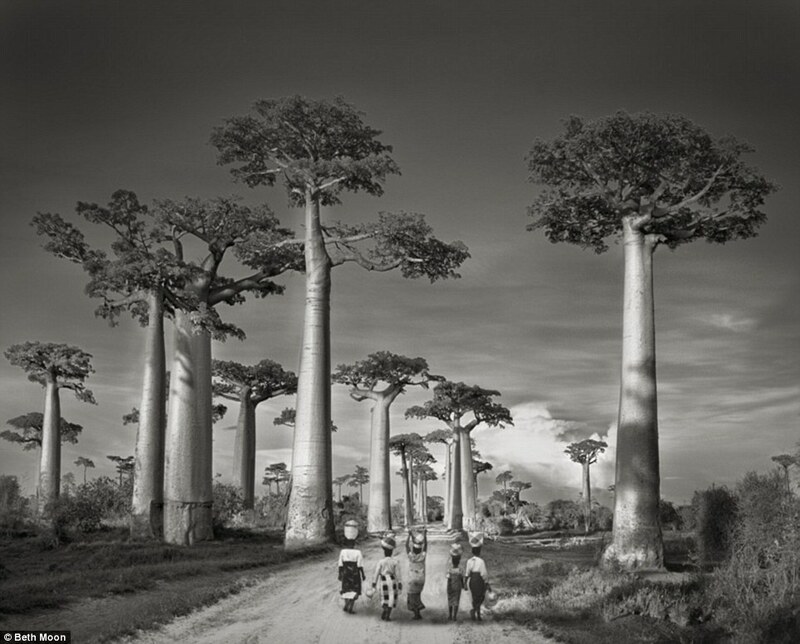 The trees were used as ship masts. Forestry will be boosted by the improving U.S. home-building market in 2015 – but expect more mill closures and the reopening of the contentious Softwood Lumber Agreement. Housing starts in the United States didn’t recover as quickly as expected, but they’re finally back, along with demand for lumber. The low Canadian dollar is also giving Canadian forestry companies an edge as they export to the south. “We’re seeing sustained recovery in the U.S.,” said Russ Taylor, president of International Wood Markets Group. “2014 was a much slower pace than [most forecasters] expected.” Economic growth in China, B.C.’s second-largest export market for lumber, has slowed. Meanwhile, Japan, another major export market for B.C. wood, has entered a recession. Why trees are the solution LNG will never be. ….We believe the B.C. government has gradually abandoned the province’s forestry heritage in pursuit of an unsustainable pipe dream: liquefied natural gas (LNG) exports to Asia. The better option — for a resilient economy and for our climate — is to rebuild an innovative, sustainable forestry sector. That’s not to say that forestry doesn’t have its own problems. The current industrial model that has dominated forestry in Western Canada is based on endless extraction and minimal domestic processing of timber resources. Safety improvements after Bradley Haslam’s death at a north Okanagan mill should be shared around the province, a jury recommended. The lessons learned from the 2013 tragedy at Tolko’s planer mill in Lavington should serve as a benchmark for the sawmill industry, Coroner Chico Newell said in his report released this week. “The jury heard evidence that the mill had undertaken a comprehensive safety review, developed additional safety standards and made physical changes to the mill that were believed to be industry leading.” Haslam, 18, was killed while working at a planer mill in Lavington on June 15, 2013. 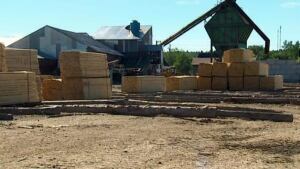 A supervisor found him entangled in a conveyor belt in the sawmill about 2 a.m.
IROQUOIS FALLS – No one is going to thank Resolute Forest Products for shutting down the paper mill in Iroquois Falls. However, as long as Resolute owns the mill property and holds cutting rights in the area, town officials want to maintain good relations with the company. And it appears a positive first step has been made by Resolute to give the town a chance to start fresh and maybe at some point down the road attract another forestry company to the community. Iroquois Falls Mayor Michael Shea told The Daily Press, Resolute officials have indicated to him that the company is willing to give up its forest licence around the mill area. the exportation of sawlogs and softwood lumber to Asia. Oregon will invest $5 million to establish a natural resources innovation fund to support Oregon’s timber and agriculture industries. Sean Robbins, executive director of Business Oregon, announced the plan Tuesday during the annual Oregon Leadership Summit being held today at the Oregon Convention Center… Rural Oregon always has played a starring role at the annual gathering of Oregon business, government and civic leaders, but there is a difference this year: The conversation has veered from challenges to opportunities. From cross laminated timber panels that promise to refashion commercial construction… the message during a session titled “Growing Rural Oregon Industries” was that Oregon’s economic future rests heavily on how well it leverages its rural assets. MEMPHIS, Tenn. — Verso Paper Corp, a leading North American producer of printing and specialty papers and pulp, has reached a settlement with the United States Department of Justice that will permit the corporation to proceed with its acquisition of NewPage Holdings Inc. The sale will include NewPage’s Luke paper mill, which currently employs approximately 800 people. 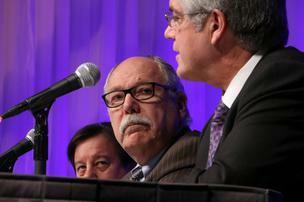 The transaction, valued at approximately $1.4 billion, originally was announced on Jan. 6, 2014. Upon the completion of the NewPage acquisition, Verso will have approximately $3.5 billion in annual sales and approximately 5,800 employees in eight mills across six states. 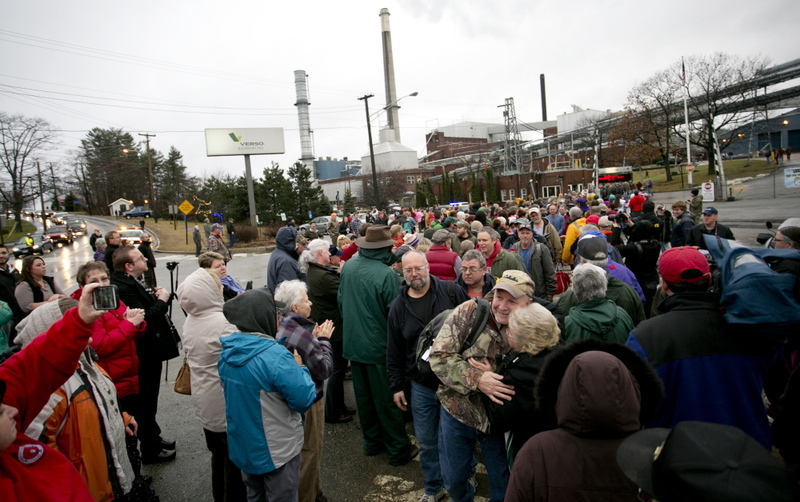 Verso’s plant in Bucksport shouldn’t be sold unless it’s clear that the move is financially necessary. When Verso Paper announced it was closing its Bucksport mill, the company cited flagging demand for paper and continued high energy costs. According to one of the mill’s unions, however, there may be another reason – to limit competition for Verso as it merges with its largest rival, NewPage Holdings. It is hard enough to stomach the loss of the Bucksport mill to the larger economic forces that have for years taken a toll on Maine’s traditional industries, and that have little to do with the quality of work done in Bucksport. .
BUCKSPORT — This weekend, town officials will hold the first of several public forums to consider Bucksport’s direction after the closure of the local paper mill last month. Scheduled for 4 p.m. Saturday at the Performing Arts Center at Bucksport Middle School, the event will give town leaders a chance to address questions about the mill closure and hear residents’ concerns and suggestions. They’ve waited until now to hold any public conversations, in part due to the slow trickle of information concerning the local facility’s fate. Until last month, Verso Paper Corp. had been largely silent around the closure plan it originally announced in October. 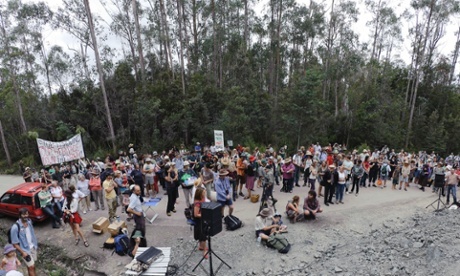 The Tasmanian government has committed to giving corporations the right to sue protesters for defamation, part of a package of anti-protest laws that included legislation last year which beefed up jail sentences and fines for “unlawful” demonstrations. The state’s attorney general, Vanessa Goodwin, said the government “remains committed to implementing” the change, which would make Tasmania the only jurisdiction in the country where corporations could seek such redress. “We know that there are radical environmental groups who make a hobby of spreading misinformation to markets with the aim of destroying Tasmanian jobs,” Goodwin said in a statement. Latvian forest industry’s export continued to increase during the first ten months of 2014, amounting to EUR 1.70 billion (a 9.5% increase) as compared to EUR 1.55 billion in the same period of 2013, reports LETA, referring to data from the Agriculture Ministry’s Forest Department. Export of wood and wood products totaled EUR 1.46 billion, or 10% more than in the respective period of 2013. 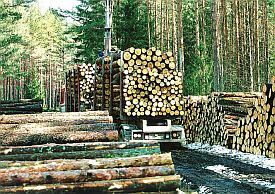 As usual, the majority of Latvian forest industry exports went to Great Britain, Sweden, and Germany. An initiative to develop new sustainable wood projects to support rural economies by constructing a new style of tall buildings was announced at the Business Leadership Summit on Tuesday. Thomas Maness, dean of the Oregon State University College of Forestry, told the gathering that his school is parenting with the University of Oregon to create a new Oregon Forest Sciences Complex in Corvallis. The $60 million initiative will be started with $30 million in private funds matched by $30 million in state bonds promised by Oregon Gov.John Kitzhaber, Maness said. …One expert, Michael Green, an architect from Vancouver, B.C., told the gathering that such products are good for the environment because they are made of sustainably grown wood. The woodworking industry has used the airwaves to warn of the dangers of a skills gap in the sector. The British Woodworking Federation (BWF) was invited onto LBC Radio to comment on claims that design and technology were being “marginalised” in schools and may no longer exist in the school curriculum within about five years. …despite woodworking accounting for about 7% of the UK’s construction workforce and the sector being able to offer a rewarding career, inadequate careers advice for school pupils and a failure to invest in vocational subjects meant woodworking and wider construction industries were seeing a shortfall in new home-grown personnel. WASHINGTON, D.C. — The decisions we make every day directly affect the health and future of our forests. The launch of the new Sustainable Forestry Initiative® (SFI) 2015-2019 Standards and Rules marks an important advancement to support better decision making all along the supply chain and to promote sustainable forest management. When a Fortune 500 company sources forest products, a landowner makes a forest management plan or a consumer buys copy paper, they can all make the right choice for our forests by choosing SFI. Robotics, automation, telematics and autonomous vehicles. These advanced technologies might soon be found in the forest and thereby make it possible to provide forest workers with a safer, more efficient work environment. The Forest Machine Technology Conference (FMTC) will be showcasing these technologies on April 21-23 in Montreal. This event will bring together stakeholders in the forest industry and other sectors in order to define the challenges of using advanced technologies in the forest, to present the technological potential in other sectors and encourage new partnerships as well as initiatives in R&D. 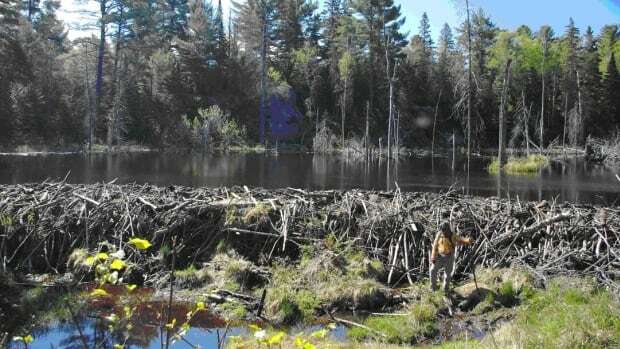 Balancing the impact of beavers and their dams on the ecosystem and industry is a complicated process, according to a retired Lakehead University biologist. The comments from Don Barnes come after an Alberta mining company was fined $1,500 for destroying a dam near Savant Lake in northwestern Ontario. Barnes said the beaver plays a crucial role in the ecology of the boreal forest because more than any other animal, it creates its own environment. ?He said the ponds they engineer also become habitat for other species. 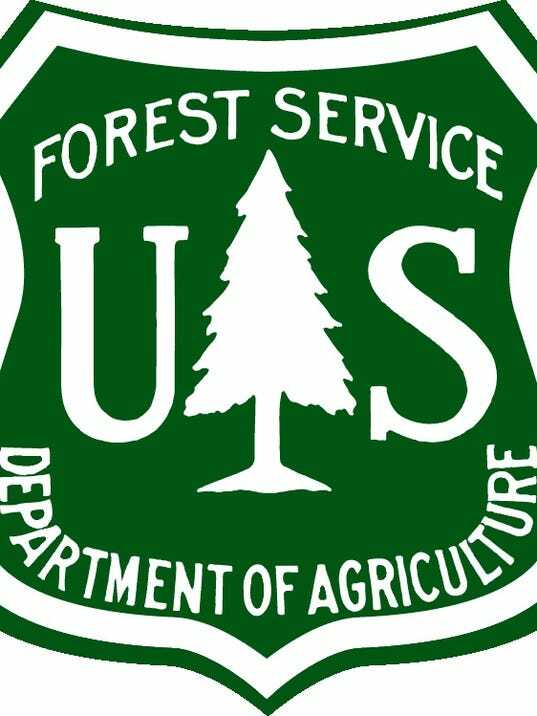 The Forest Service abandoned a $10 million rebranding effort today after the proposal sparked opposition from some employees and a government watchdog group. The agency had announced plans in November to hire an outside firm to help it achieve “strategic organizational transformation, identity clarification and social purpose branding and branding management, and multicultural engagement and outreach.” The request for proposals, which closed just before New Year’s Day, offered up to $10 million over the next five years. Some called it a smart investment that could have boosted employee morale, bolstered public trust and strengthened support from Congress. WASHINGTON – The American Forest Foundation (AFF) today announced the release of its updated Standards of Sustainability for Forest Certification treefarmsystem.org under the American Tree Farm System (ATFS). The Standards, which are revised every five years, are the result of a rigorous, multi-stakeholder process and based on international guidelines for sustainable forest management and conservation. Oregon Sen. Ron Wyden on Tuesday said he remained committed to passing three timber and water-related bills important to rural Oregon that foundered in Congress last year — and he warned the new Republican majority that they won’t succeed in trying to override federal environmental laws. …”Waiving federal environmental laws is a dead end,” Wyden said at the Oregon Leadership Summit, arguing that such legislative attempts haven’t worked for the state before in past battles over timber policy. Attorney General nominee Loretta Lynch is going to have a lot of sticky questions to answer when her hearings begin. A few weeks ago, I noted a particular incident involving ugly and indefensible conduct by state and federal officials who fatally compromised an investigation into the 2007 “Moonlight Fire” in California by trying to scapegoat an innocent company that happened to have deep pockets. I urged members of the Senate Judiciary Committee to ask Ms. Lynch how she plans to protect the public from future instances of such misconduct. TUSAYAN, Ariz. – On Nov. 19 a new draft record of decisions for the Four Forest Restoration Initiative (4FRI) was published to update the public on changes to the initiative. After careful review 4FRI is considering a final draft in early 2015. 4FRI is the largest collaborative landscape initiative in the country and is the forest service’s plans to restore ponderosa pine throughout northern Arizona. The initiative will treat approximately 2.4 million acres of ponderosa and covers four national forests; the Kaibab, Coconino, Tonto and Apache-Sitgreaves. Plans for the initiative started in November of 2011 and is broken down into phases. The Forest Service says that Big Thorne and other old-growth sales are necessary to tide over the industry until enough second-growth timber comes of age. (And by the “industry,” officials largely mean Southeast Alaska’s last corporate mill, Viking Lumber.) But environmental groups … say the timber sale will destroy the last ecologically rich stands of old growth on Prince of Wales Island and further endanger the rare Alexander Archipelago wolves. They also dismiss the Forest Service’s rationale for continuing to sell old-growth leases: A private analysis by the Oregon-based Geos Institute found in 2013 that there’s already “sufficient volume” of younger trees in the region ready for harvest. The Georgia Forestry Pageant is the oldest scholarship pageant in the state going into its 76th year. …The girls participate in a parade with their respective counties and titles on their cars; they are treated to cookouts, tree farm tours, etc. …The Miss Georgia Forestry queens have the opportunity to ride on the Georgia Forestry Pageant float serving as ambassadors to the Georgia Forestry Industry. The Miss Georgia Forestry Pageant was started in 1940 to offer educational opportunities to young ladies while promoting Georgia’s Number One Industry, Forestry. The Miss Georgia Forestry Contestants will also have the opportunity to advance to the Miss U.S. National Forestry Pageant. Firefighters in southern Australia were winning the battle on Tuesday to contain a sprawling wildfire raging on a 240-kilometre perimeter that has razed 38 homes and left two people in hospitals, officials said. Hundreds of firefighters have struggled since Friday last week to control the blaze that has razed 12,500 hectares of farms and woodland in hills northwest of the South Australia state capital Adelaide. “I’m happy to report we’ve made some significant progress on securing the outer perimeter during the course of the day and our crews will continue working into the night to secure the rest of the perimeter,” Country Fire Service chief officer Greg Nettleton told reporters. 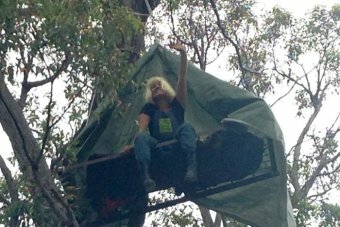 Logging preparations in part of Helms Forest near Nannup in the South West were stopped on Tuesday when Claire Anderson, 23, sat on a treetop platform that was tied to machinery. Specialist police officers and equipment were sent from Perth to remove the protester, who was suspended 13 metres off the ground for 12 hours. South West District Police Inspector Geoff Stewart said the woman refused to cooperate. “Once we lowered her down she’d also locked herself into a device, so we also had to cut her out of that,” he said. People around the world see climate change as a major threat, and Americans are becoming increasingly concerned… Clearly, we are not doing enough about this problem. However, it is not for lack of available solutions…. Deforestation is a double-whammy: carbon dioxide is released when trees are cut down, and we also lose future carbon capture capacity… In the U.S., the Forest Service routinely produces and sells timber that isn’t worth the direct harvesting and marketing costs. The elimination of logging subsidies would save taxpayers’ their money as well as their forests. As we approach a winter cold spell, loading logs onto the fire and staring at our Christmas trees, spare a thought for Drax Power. Drax is the operator of the second largest coal power station in Europe, and has an ambitious corporate strategy, based on gradually converting a number of its generating units to become predominantly a biomass-fuelled power generator reliant on wood pellets in place of coal. Of those six units, the first was converted to biomass in May last year, and the second was completed in May this year. A third conversion is planned by summer 2016, and a fourth is being evaluated.